Founded in 1983, Stokes Electric has provided commercial, industrial and residential electrical contracting to Ocala, Orlando, Jacksonville, Tampa and other cities located in Central Florida. Stokes Electric hired an Orlando web design firm to create a new website for the company. They were pleased with the design but felt the copy was lacking. AJT Design & Marketing referred Susan Greene, Orlando copywriter, to step in and take over the copywriting portion of the project. Susan met by phone with the key people at Stokes Electric to learn about their company services, facilities and equipment. She then wrote copy that went through multiple layers of approval. 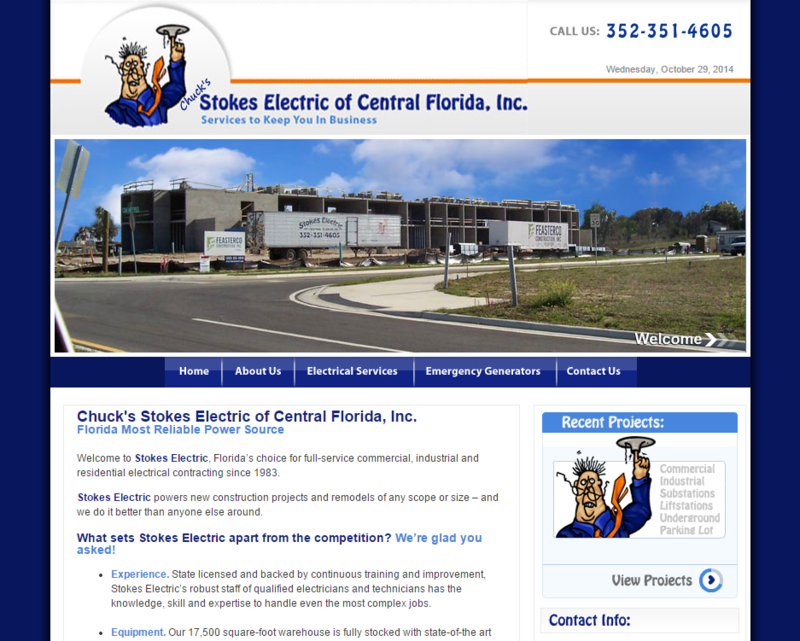 Stokes Electric of Central Florida was pleased with their new website including both the design and copy. They feel it represents their company well, something their old website didn’t do. I appreciate you stepping in and saving us. Thank you, thank you, thank you, oh and did I say thank you. You rock. I appreciate you stepping in and saving us. I know it can be tough coming into a project midway through. So I definitely owe you one Susan. You rock!!! We will launch the Stokes Electric website next week with the new copy you wrote. Thanks again for everything. Need a website that accurately represents your company? Let’s chat about your website project today!